As we wrap up our third week of LEAP and our time in RCAA comes to a close next week, we wanted to highlight the fascinating research of one of our former zoo scientists, Matt Heintz. 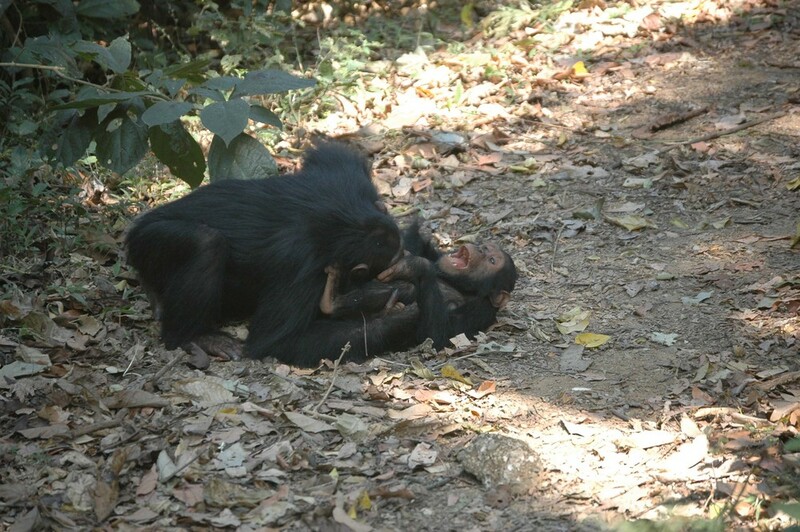 Matt spent time in Gombe National Park in Tanzania studying the benefits of play in wild chimpanzee populations. Matt brought his daughter to LEAP in fall of 2014. I think play is incredibly important and fascinating, and not because I am a father who loves to take his daughter to LEAP at Lincoln Park Zoo every Saturday. 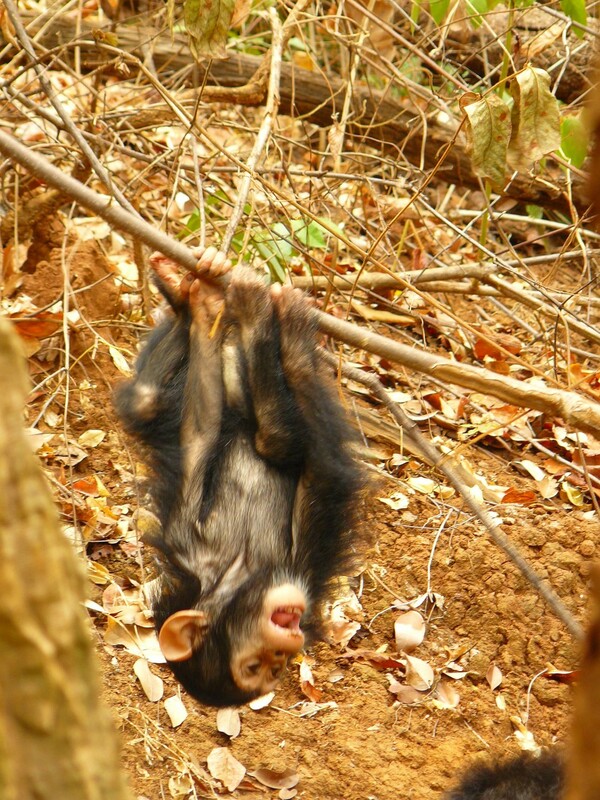 My life has been submersed in play behavior ever since I studied the immediate and long-term benefits of play behavior in wild chimpanzees in Gombe National Park, Tanzania… or as I like to put it, watching wild baby chimpanzees play all day. I was amazed by how much I learned about them, not only scientifically, but also relating to my personal life as well. In a strange way, I feel that watching mother and infant chimpanzees interact helped prepare me for fatherhood. 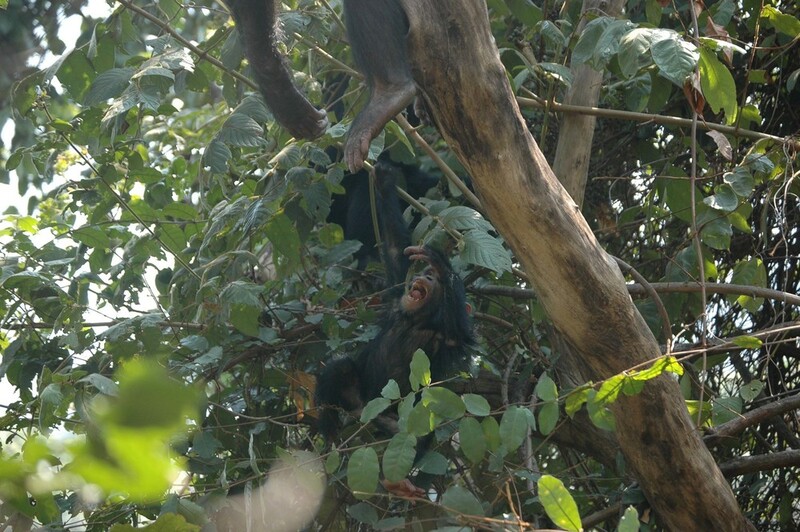 One of the most amazing things about chimpanzee play behavior is that they literally play just like we do. Chimpanzees will run, chase, tickle and play games with each other just like we do. Chimpanzees will vocalize with laughter and will even point to which area that they want to be tickled by their friends. 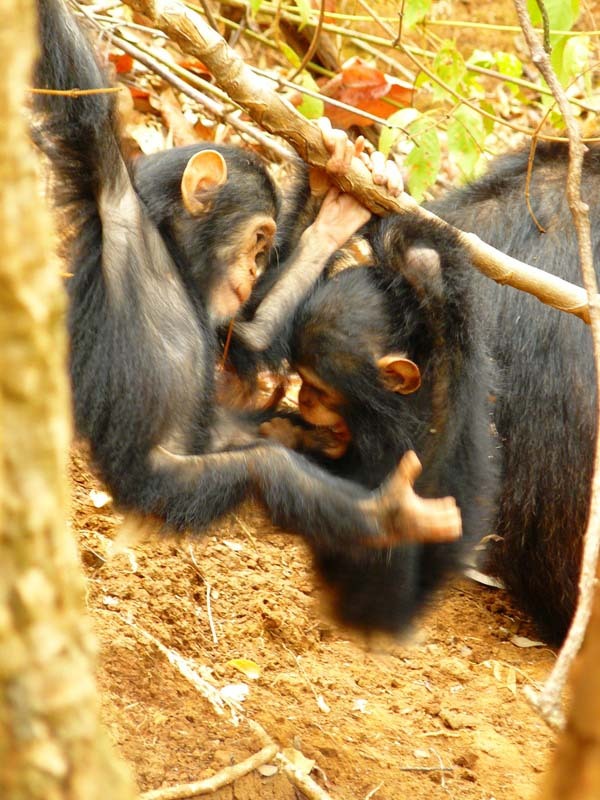 I have also seen them play different games like ring around the rosy as siblings run circles around their mom, or keep away with one chimp breaking a branch and enticing his friend to chase him to try to get the branch. Chimpanzees really get into nature play whether it is with others or by themselves. They will test out the strength of branches and their reaction times as they fall from a branch and grab ahold at the last moment. And who doesn’t like getting dizzy? 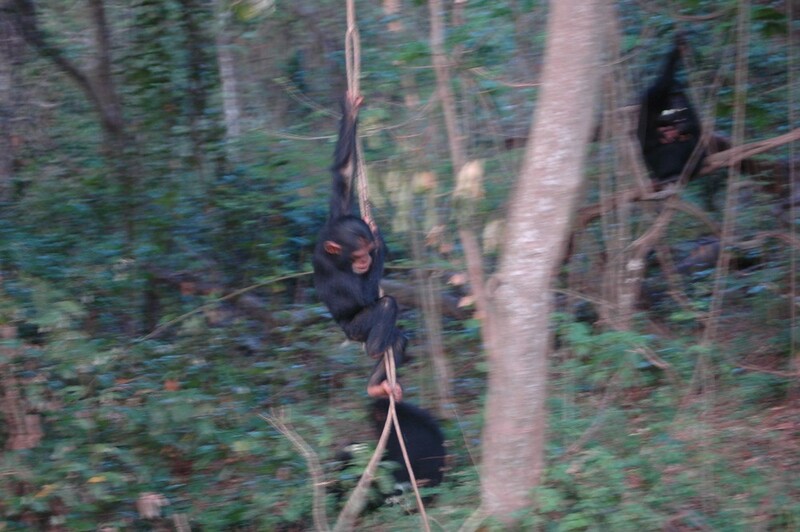 Young chimpanzees will spin around in circles to have some fun. Female infant chimpanzees have even been seen to carry around sticks almost as if it was their version of a doll. So why do chimpanzees play? Well from my research it does seem that there is a relationship between how much they play and how quickly they achieve different social and motor milestones. Chimpanzees that played more were also seen to travel on their own and be further away from their mother at younger ages. I was also surprised to see a positive relationship between play and stress hormones, but this could be because play can be somewhat unpredictable and require additional energy so could be thought of as a positive stress. There is still much to learn through researching play but it is easy to see that much can be learned through play. These days my observations include play and many other behaviors in my current role as a welfare monitoring postdoctoral fellow. In this position we observe animals of all sizes at Lincoln Park Zoo, from black-necked stilts to black rhinoceros to assess how they are doing and to help us make informed management decisions with our ZooMonitor program. Observing play from the black rhinoceros or Sichuan takins is always a highlight of my day.